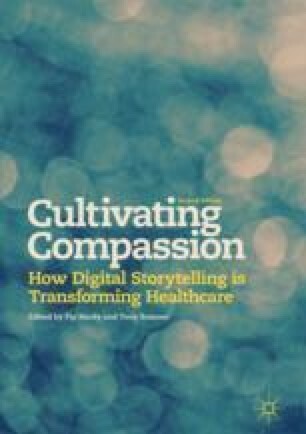 As experienced leaders within medical and interprofessional education (IPE), Anderson and Kinnair outline the value of digital storytelling for undergraduate medical students as a method of promoting deep reflection. Armed with early enthusiasm for digital storytelling, they worked with Patient Voices to develop a Student Selected Component (SSC) where final-year medical students at the University of Leicester could make their own digital stories focusing on critical moments in clinical practice. The resulting stories have had an impact on the individual students who created them, on the faculty as an educational resource and for students following in their footsteps both at Leicester Medical School and elsewhere, as exemplars of reflective thinking and practice. The stories created as part of this project can be viewed on the Patient Voices website at www.patientvoices.org.uk/lssc.htm.